You’ve got to hand it to Kishore Biyani — when he talks the talk, he makes sure he walks the walk. 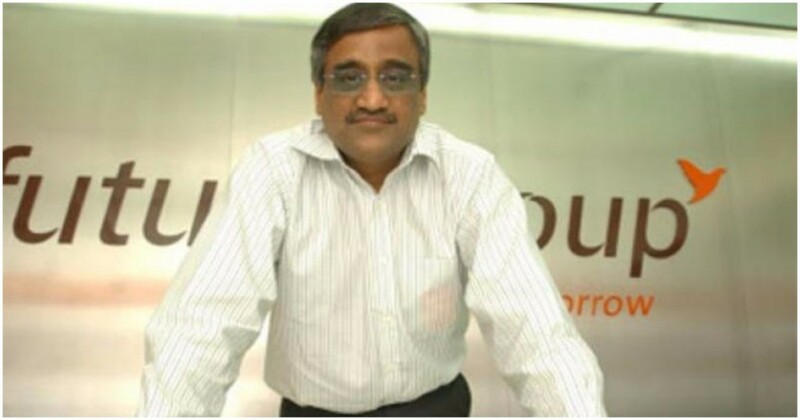 Biyani has, over the years, been among the most strident voices against e-commerce in India. “It’s stupid to be in the e-commerce space,” he’s said in June. Last year, he’d ominously predicted that none of the online grocers would survive. All this while, he’d kept building his own retail business which operates Big Bazaar and eZone brands. And while most of Biyani’s ominous predictions concerning e-commerce are coming true, his own business appears to be flourishing. Future Group has more than doubled its quarterly net profit to Rs. 148 crore. Sales too were up by 18% to Rs. 4,707 crore. These results are in stark contrast to how e-commerce companies are faring. Last year, Amazon India lost Rs. 3,571 crore, Snapdeal lost Rs. 2,960 crore, and Flipkart lost Rs. 5,223 crore. Snapdeal, in particular, was hardest hit — after declaring in 2015 that it was soon going to be become the number one e-tailer in the country, it saw its valuation plummet from $6.5 billion to $900 million. Its employee strength, too, has suffered — it once had 9,400 employees on its rolls, but is now making do with just over a thousand. Ironically, e-commerce companies now seem to be moving into Biyani’s territory — physical retail — in search of profits. The Future Group operates 893 stores through brands such as Big Bazaar, FBB, easyday, Foodhall, ezone and Home Town, which occupy retail space of 13.5 million square feet. E-commerce companies are now trying to set up physical presences of their own. Flipkart says it plans to set up experience stores across the country where customers can pick up goods, and Myntra already has stores in Bangalore. Other e-commerce companies are even more heavily invested in a physical presence — online eyewear retailer Lenskart already has 330 physical stores across the country, and online furniture retailer PepperFry has been opening retail stores at prime locations. Biyani has been betting on physical retail for years now, and his vision is paying off. “The total non-electronic business that happens online is less than the turnover of the Future Group (last fiscal, the revenue was Rs21,000 crore). So we were having the last laugh. It’s nothing new. I really enjoy sitting with e-commerce players and discussing business. Unko bhi pata hai unke paas kuch nahin hai (They also know they have nothing),” he said.